All posts relating directly to Scouts. 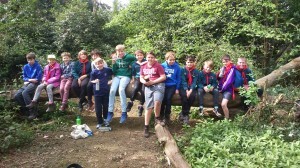 Today saw four of our Cubs finally move up to Scouts. What is amazing is that each of these Cubs has achieved their silver award. 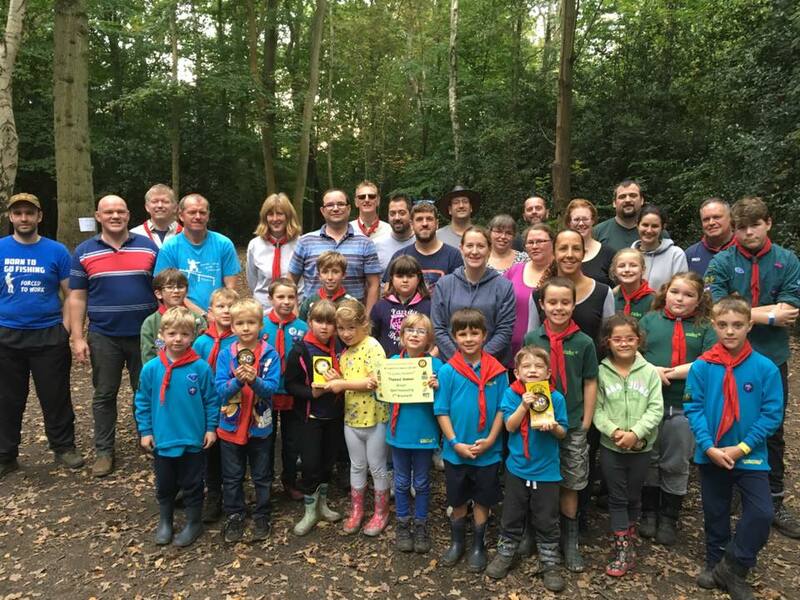 This is the highest award a Cub can earn in scouting and takes a lot of commitment and time to scouting. The Cub leaders are very proud of the achievements of these four cubs and hope to hand out many more Silver awards in the future. 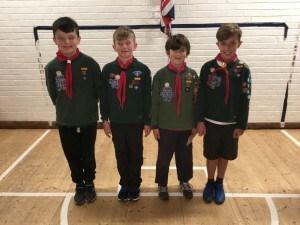 Chris Kinch the Scout leader has set a challenge for these fours cubs to achieve the Scouting Gold award which has not been handed out in several years and is an incredible achievement. 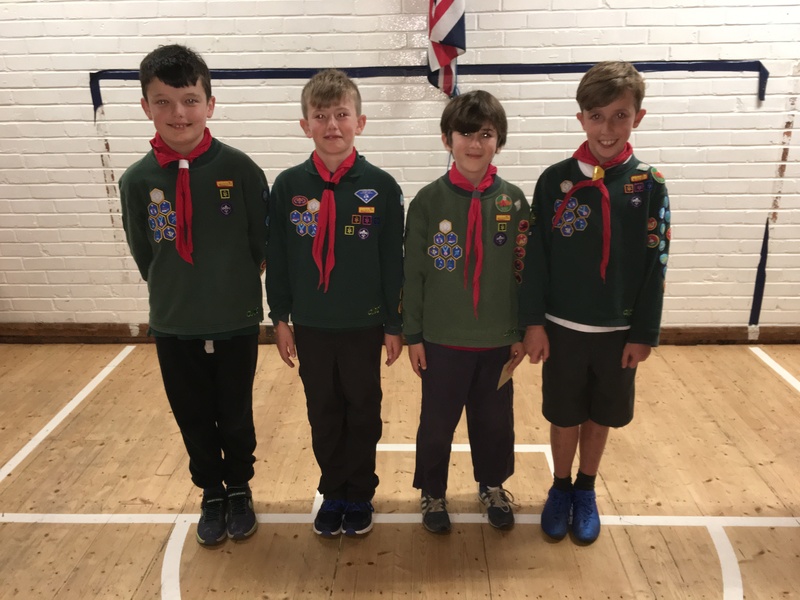 The Cub leaders wish these four cubs and all the best in their new Scout Troop and every success in achiving the Gold Award. Once again, the weather Gods have been in our favour. 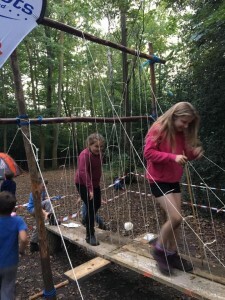 The 2017 Parent and Child Camp has been a great success where there were many happy (but dirty) faces (and the children were no cleaner either). And come Sunday night many weary bodies and tired children. 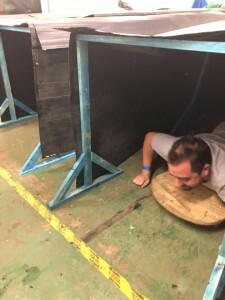 This years challenges saw us build a copy of the Golden Gate bridge that had to support and adult walking across it. A matchbox that contained 50 different items, humane mouse trap, fly swat and many more items. We had to compete in teams giant kerplunk, crossing lava on crates, shaving balloons, bouncing ping pong balls into buckets, gold mining, maypole dancing (this really is good fun) finding clues to make a word, horse racing, getting a message out of a water pipe with holes in it and making a collage. 2nd Bracknell won the dinner service prize and a special prize for sportsmanship for helping some other teams in the events. 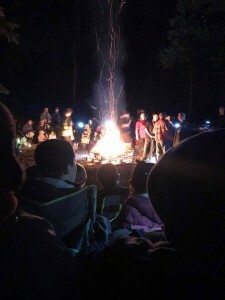 We had a great camp fire and as a group we sang a collection of songs form the past 50 years. 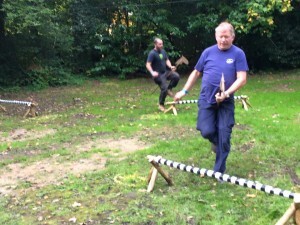 Thanks to Derek for helping to setup and break down the camp, and thanks to Jason (Van man) for getting the equipment out and sorted into the hall, there are many other people involved in organising a camp Nick sorted out the DBS’s, Steve Richard the DC worked with Gilwell and Steve Prower was our home contact. Without all of these people we are unable to run events like this. 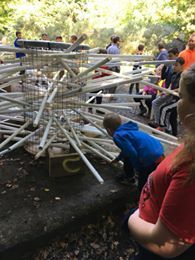 If you would be interested in helping please contact one of the leaders as we are always looking for new leaders and helpers. Thanks to everybody for a fantastic time. 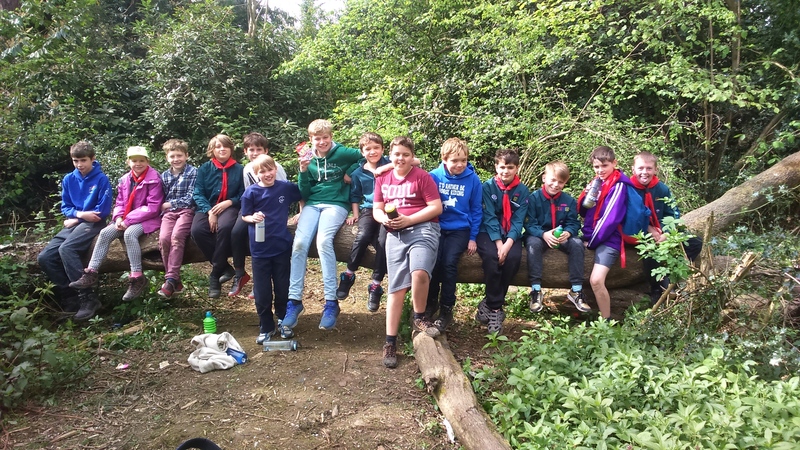 Our Scouts went on an adventure last Saturday 9th September hiking six miles to a lake in Wokingham to go night fishing. 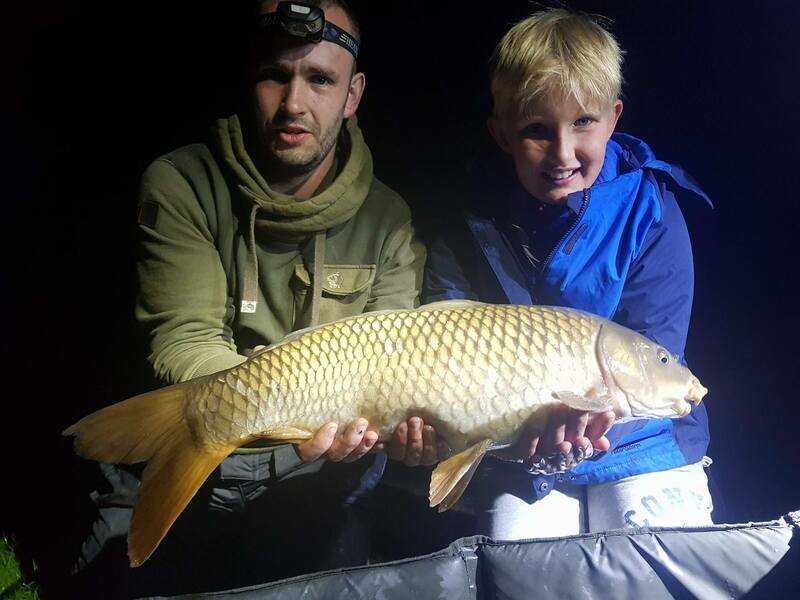 On route they encountered thunder storms however this did not dampen their enthusiasm as they soon started to catch 10lb Carp. The Scouts literally lived upto the night fishing experience with the last one retiring to their camp bed at 2am only to be woken by their Leaders 5.30 hours later to start packing and striking camp followed by a hearty cooked breakfast before hiking back to the Scout Hut. The event would not have been possible without the support and permission from Crowthorne Fishing www.crowthorne-angling.co.uk and our three fishing volunteers Jason, Matt and Mick. 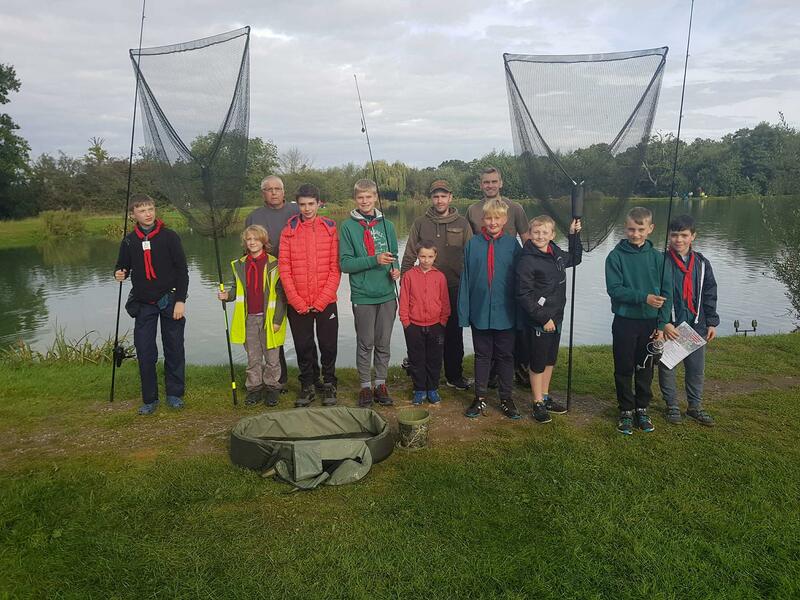 One parent commented “he had a brilliant time thank you all” and the Scouts wish to say thanks to everyone for giving them this experience and providing them with the opportunity to earn their Angling Activity Badge. 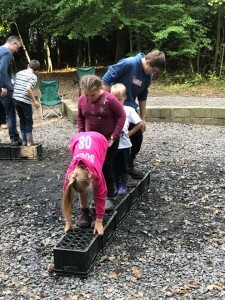 14 Scouts attended the Hells Fire Camp at Phasels Wood on the 28-30 April and took part in air rifle, climbing and zip wire activities. On the way home on Sunday, they visited the Hells Fire Caves in High Wycombe www.hellfirecaves.co.uk, very dark, damp and chalky. A big thankyou goes out to two parents who attended and supported this camp Jonathan and David, without whom the camp would not have been the success it was, especially when we lost a Leader due to illness. See your sections programme or My.SCOUT events for details and section specific events.